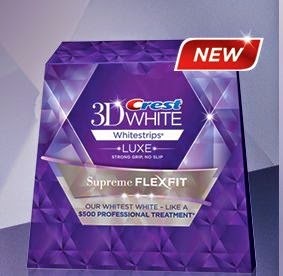 Try Crest® 3D White™ Luxe™ Supreme FlexFit™ Whitestrips™ get a free sample and coupon. Click the link below to go to the Crest website. Once on the Crest® website scroll down to enter this code: 9K2P in the box where it says, "Enter Code" then you will be taken to another page to enter your information.